1950s Traffic Accident on San Vicente, Los Angeles, CA. 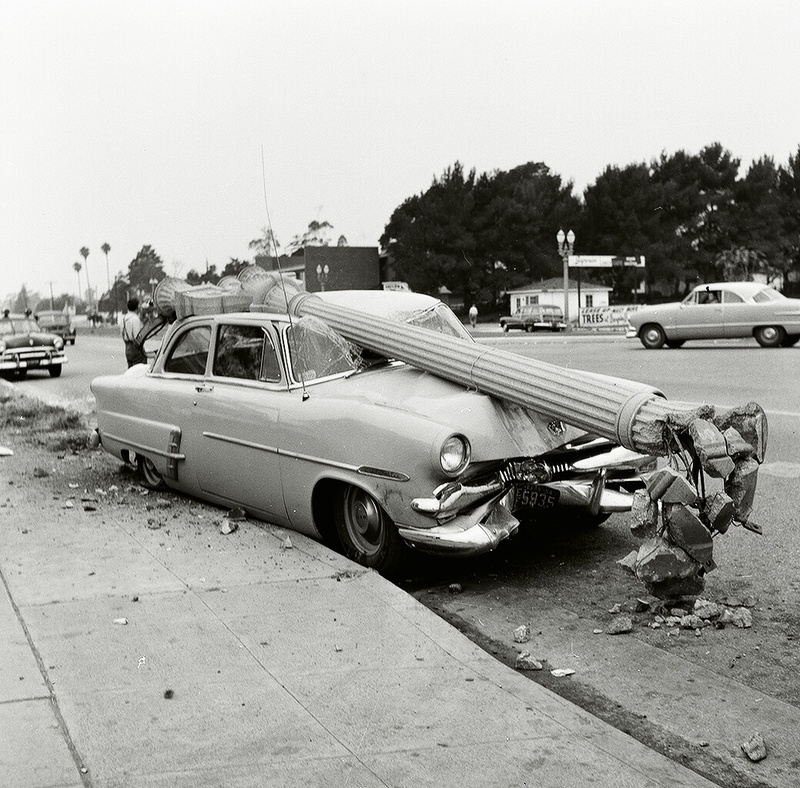 From the whimsical collection of Shorpy, I found this 1950s photograph of a car, on San Vicente, which hit a light pole. Most likely, the driver was not texting while driving. Thanks for the link to Shorpy. I used to have a 1959 Chevy and I always thought it was a giant tank-like steel vehicle. ← OSH Appliance Department Closing.